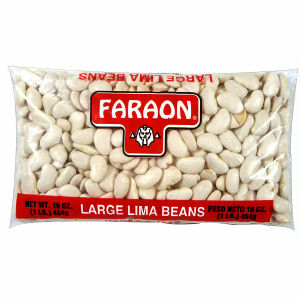 Faraon Large Limas are packed with great pride in the Faraon bean packing plant. Faraon controls the quality of its beans right from the farm to your kitchen. That is why you can trust Faraon as your best source for the best beans . All the Faraon beans are high in fiber and have zero fat. They are the best friend of a healthy diet.